Dustin Poirier may have lost to Chan Sung Jung in his last fight coming into Saturday night’s TUF 16 Finale, but you can’t say that he didn’t learn something from the loss. Poirier used the same submission, the D’arce choke, that Jung used on him to defeat his TUF 16 Finale opponent, Jonathan Brookins. 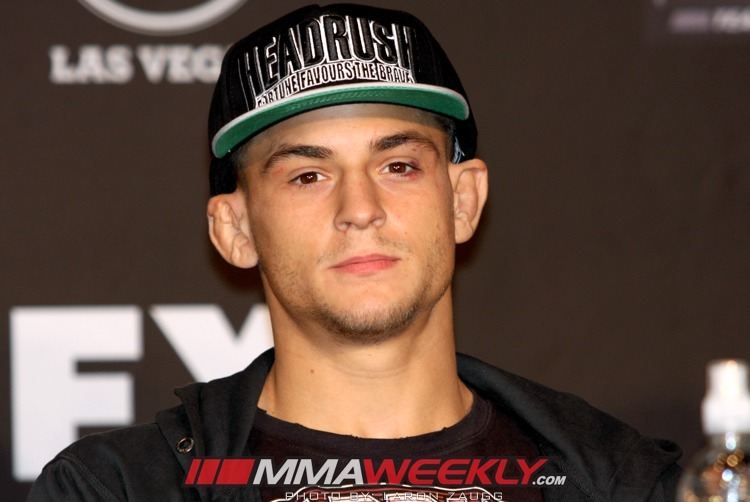 MMAWeekly.com brings you Dustin Poirier from the TUF 16 Finale post-fight Press Conference after he defeated Jonathan Brookins.